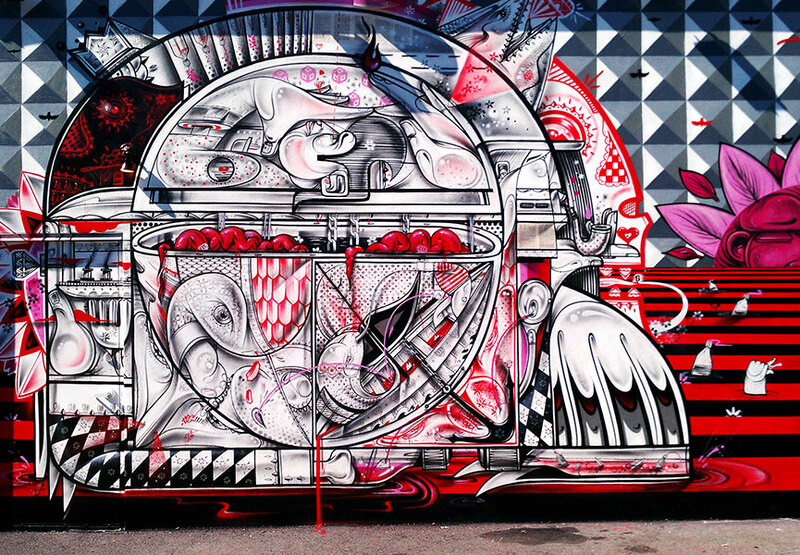 Like everything else, street art is best done together. 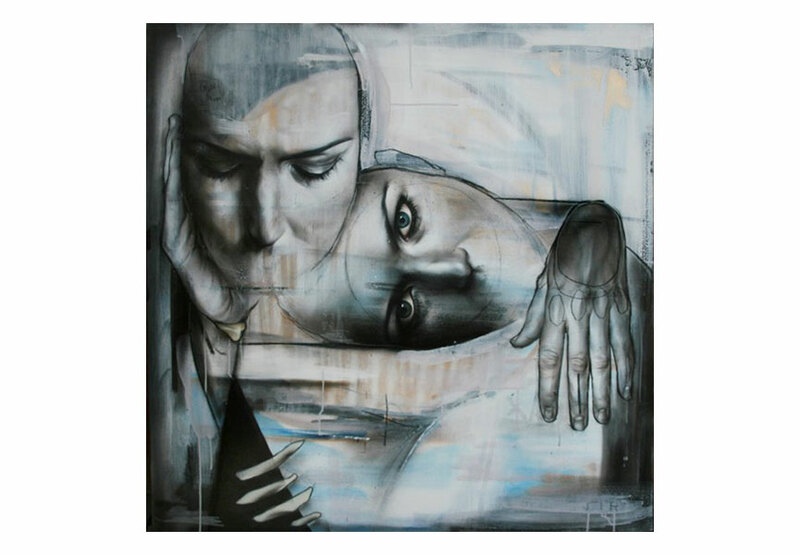 Together artists can complement their individual creative talents to create unbelievable works of art. 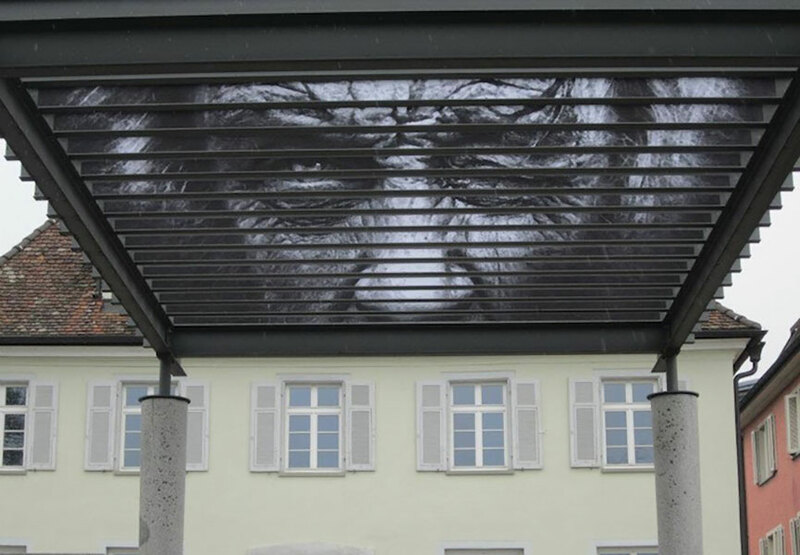 They can build mosaics and deconstruct images to create breathtaking murals. 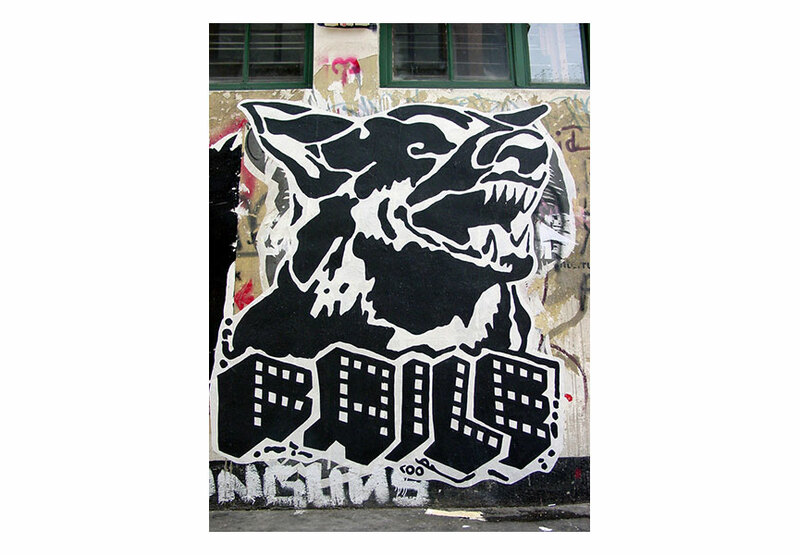 Together they can paint photorealistic elements and spray tags to create an overall picture. 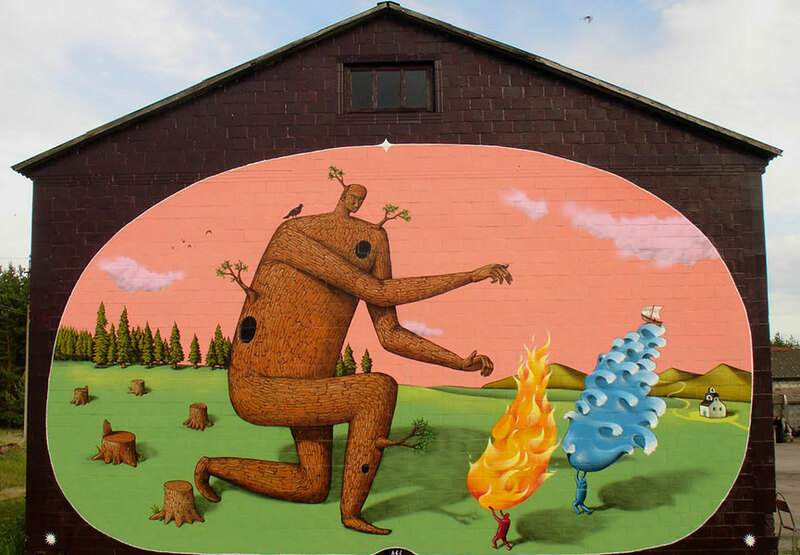 The possibilities seem endless for street art duos. 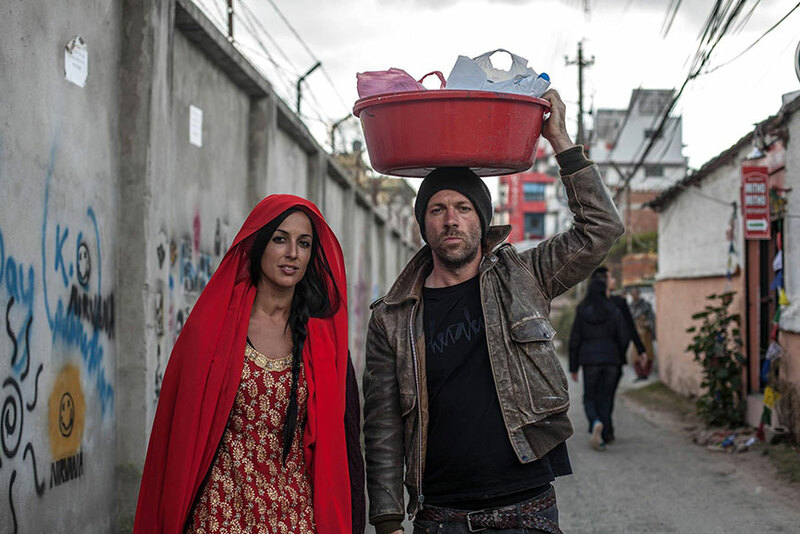 The exchange between two creatives is bound to produce innovative art. 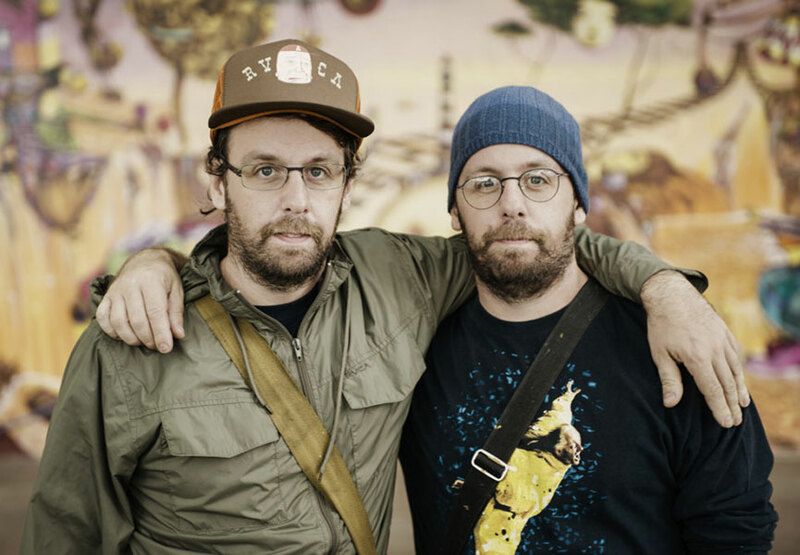 These are the artists that have proven that two minds think better than one. 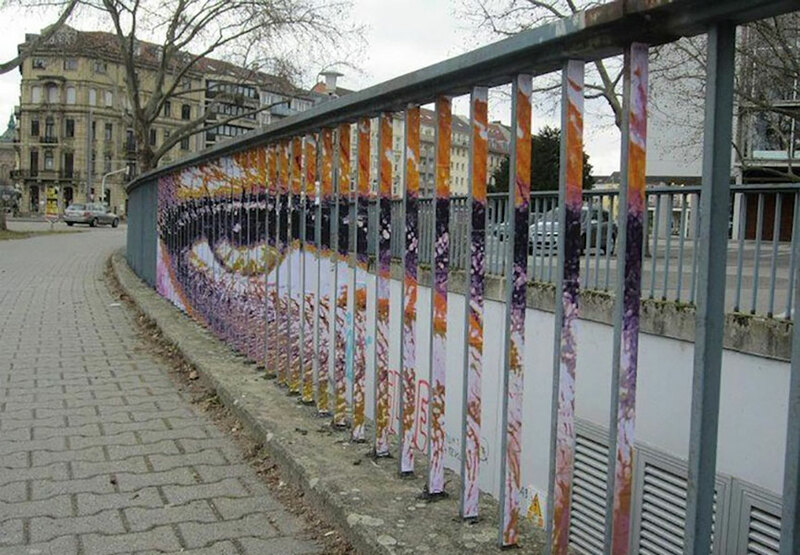 Germany-based street art duo known as Zebrating have been leaving their mark across the globe, particularly on railings in public spaces. 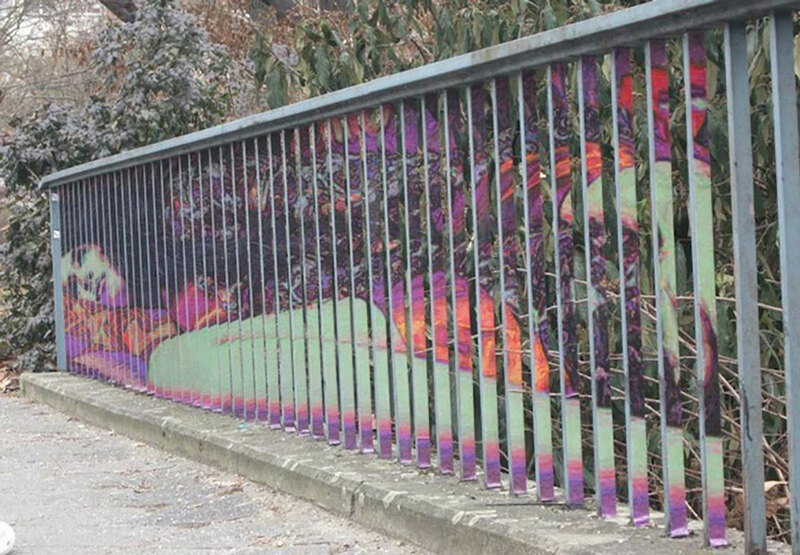 Their elusive graffiti work offers an entertaining surprise for viewers from specific angles. 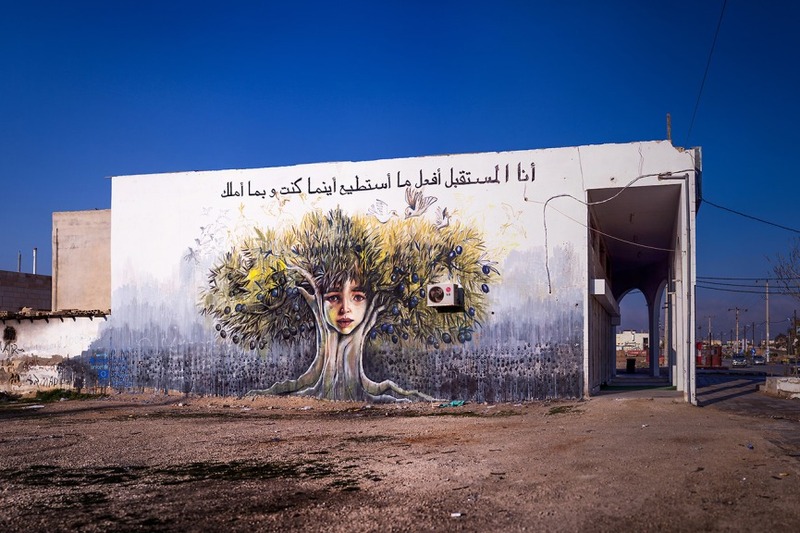 Their art relies heavily on perspective as each piece of a single image is spaced out and only cohesively visible from a fixed viewpoint, proving to be a hidden treasure for those with keen eyes. 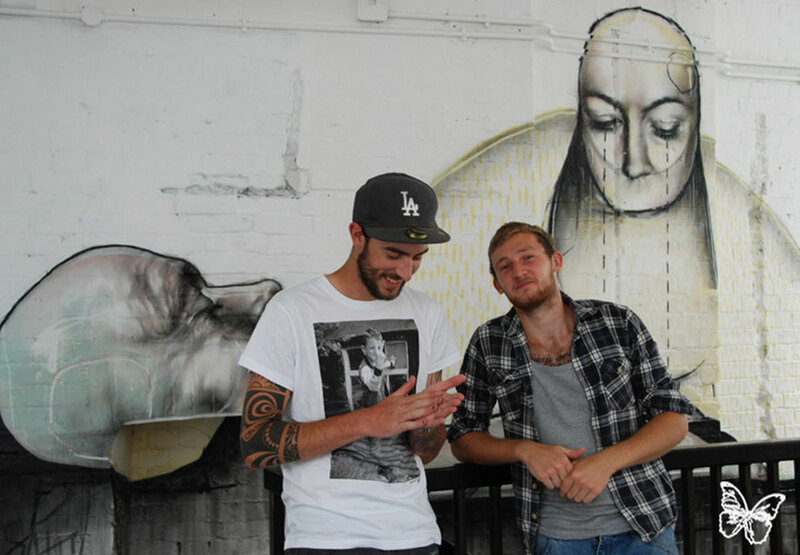 The pair of street artists present incredibly realistic renditions of human figures across their spaced public canvas. 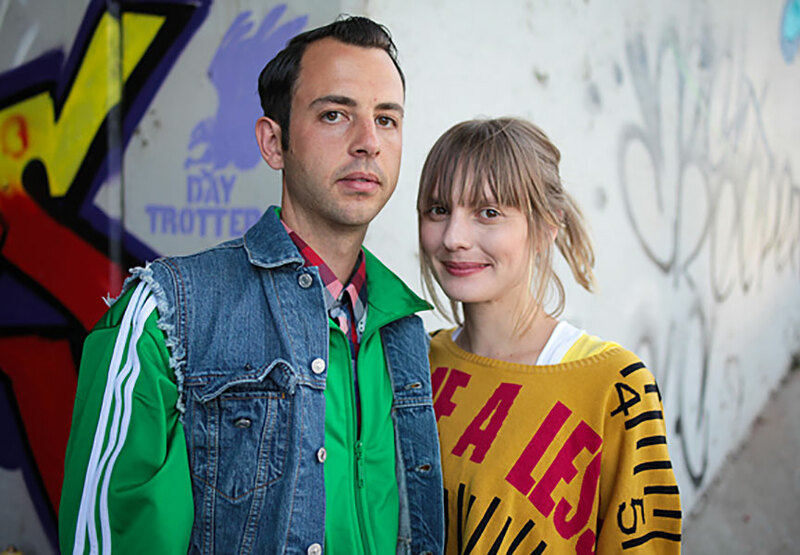 Melbourne natives Dabs and Myla are a dynamic duo who have lived, worked and soaked in the sun of Los Angeles since 2009. 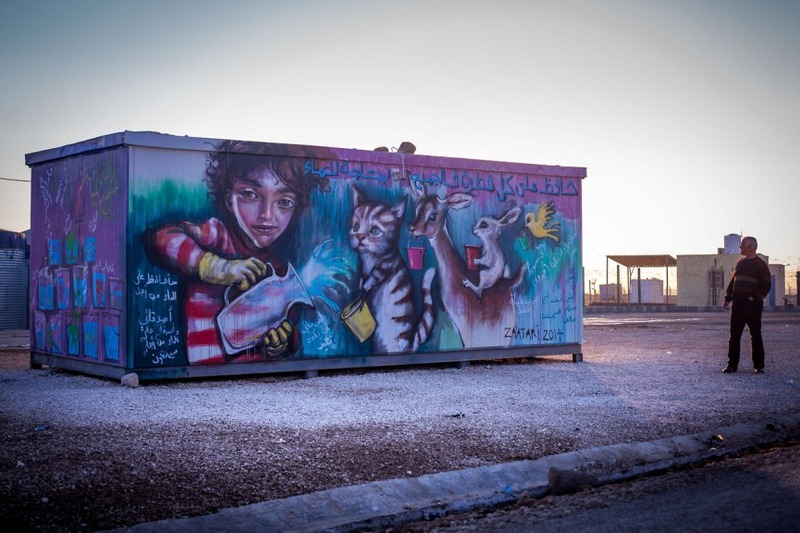 Dabs started painting graffiti in 1995, and began teaching Myla the ropes of writing about ten years later, after they met while studying illustration in art school and fell in love. 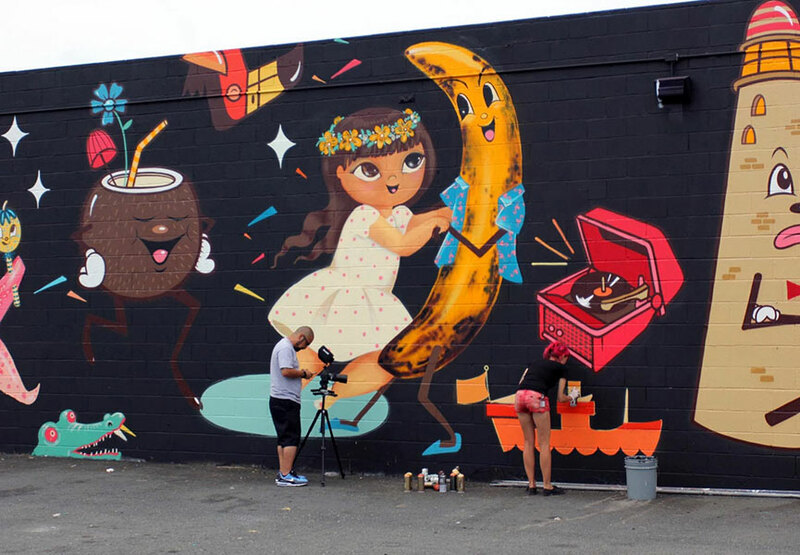 Soon afterward, they decided they liked their collaborative pieces better than their individual work, and from that point on, they worked together exclusively, as Dabs Myla. Inspired by graffiti, food, travel and their wonderful chaotic life together as a couple, their paintings play Dabs’ mischievous and sometimes ribald characters off Myla’s photorealistic cityscapes. 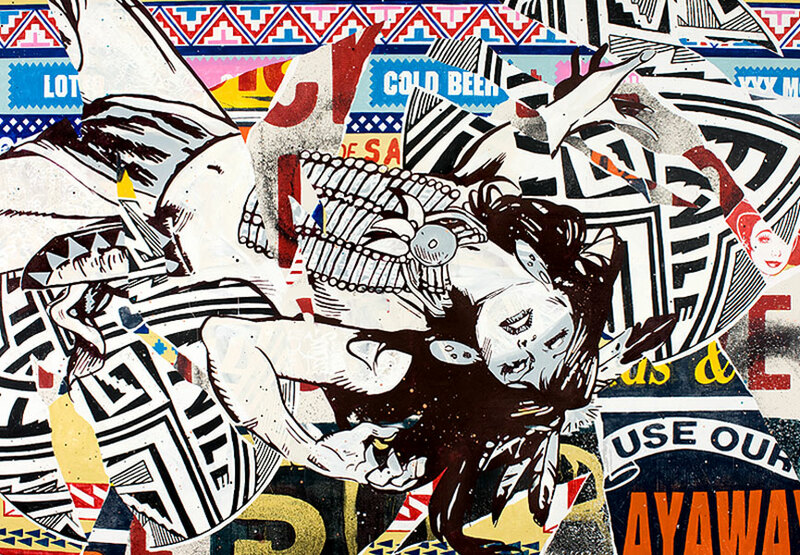 FAILE are a collective in the form of Patrick Miller and Patrick McNeill, two close collaborators who grew up together in Arizona, USA during the 1970s. They began working together in New York in the late 1990s. (Aiko Nakagawa, an early collaborator, left to pursue her own career under the name Lady Aiko in 2006). 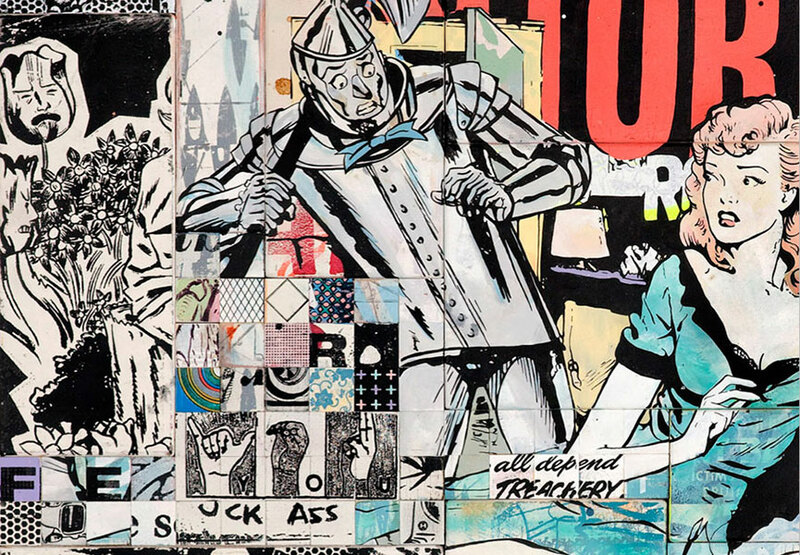 Even their initial wheat-pasted collages avoided the succinct and sometimes aggressive vernacular of street art, revelling in an accelerated culture of Americana while simultaneously being aware of its pitfalls. 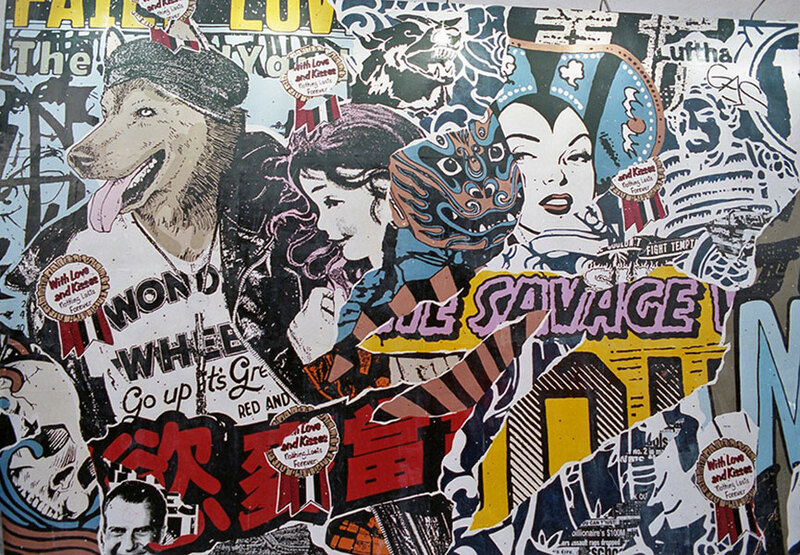 Like so many artists who rose to prominence with street work, the duo were paying their bills with a wide variety of design commissions. 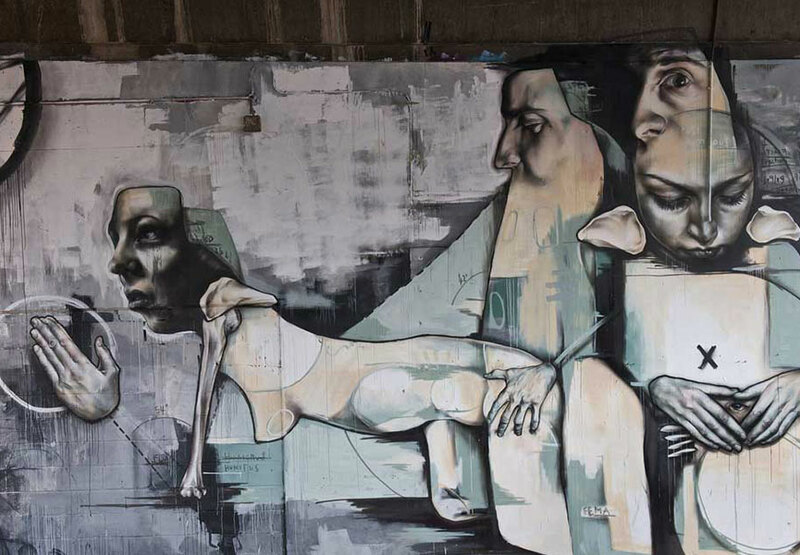 Herakut is a symbiosis of the aliases Hera and Akut, two graffiti artists from Frankfurt and Erfurt, Germany. 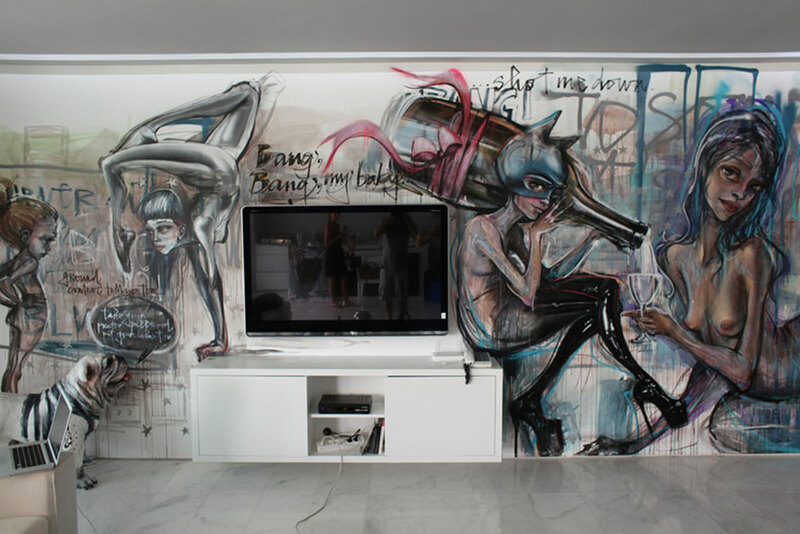 Herakut is an artist with four hands: those of Akut the graffiti artist, and those of Hera the painter. Their collaboration started when they first met in 2004. 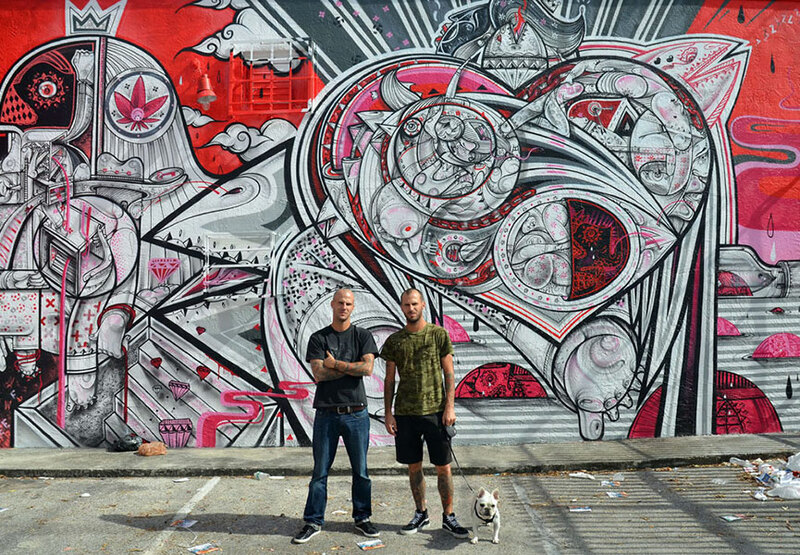 Both were invited to paint at the Urban Art Festival Sevilla in Spain and before that time had only seen each other’s work in graffiti magazines. To everyone and themselves it was clear that despite the fact they both focused on character painting, their styles had nothing in common whatsoever. And that has not changed a bit. 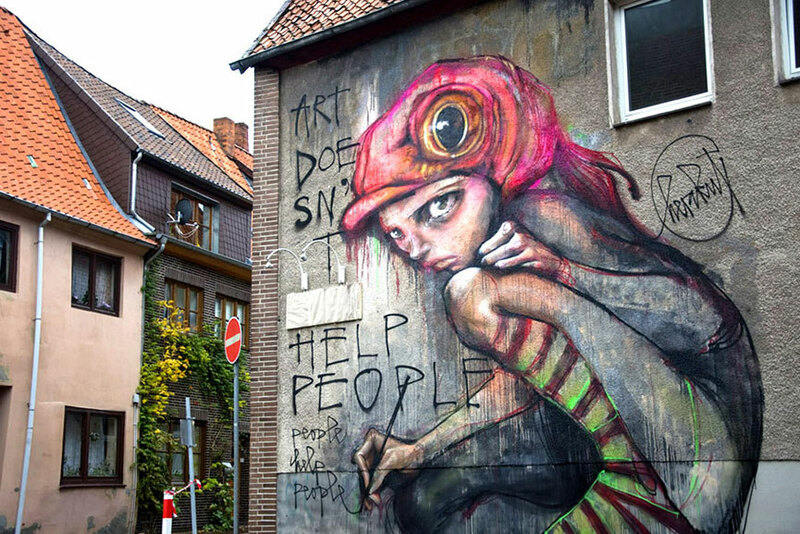 Since 2004, Herakut has been combining Akut’s photorealist spray paint with Hera’s more traditional techniques such as charcoal and acrylic. CYRCLE. 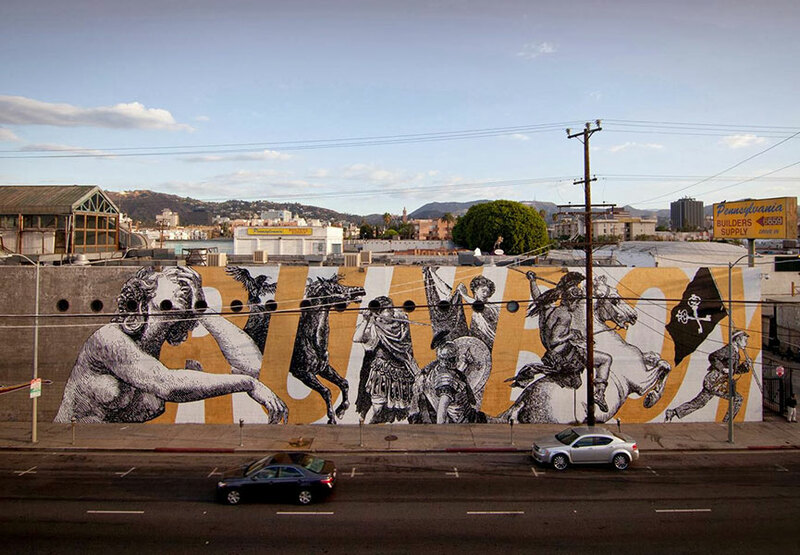 is a collective of street artists, graphic designers and traditional fine artists which has been developing their own language for the past three years. In that brief time, CYRCLE. 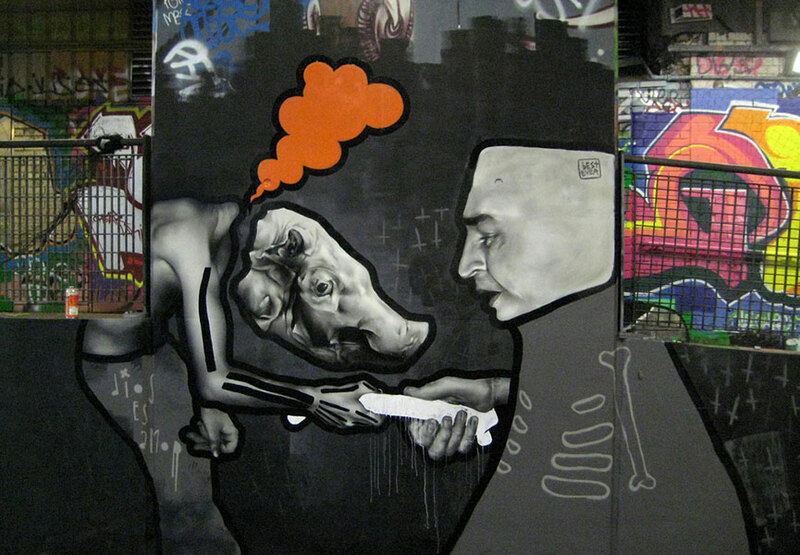 has made a massive impact on the street and gallery scene, quickly gaining the respect of the international art community. Working across a variety of media, CYRCLE. does it all. 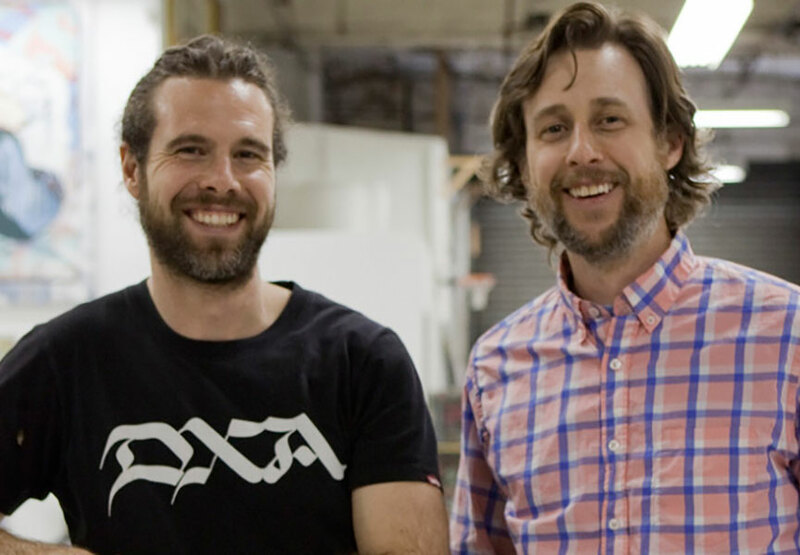 From investigating form and function to encouraging participation, CYRCLE. challenges and embraces the full spectrum of what art can be. Originally CYRCLE. had three members: Davey, Rabi and Devin, but now it is just Davey and Rabi. 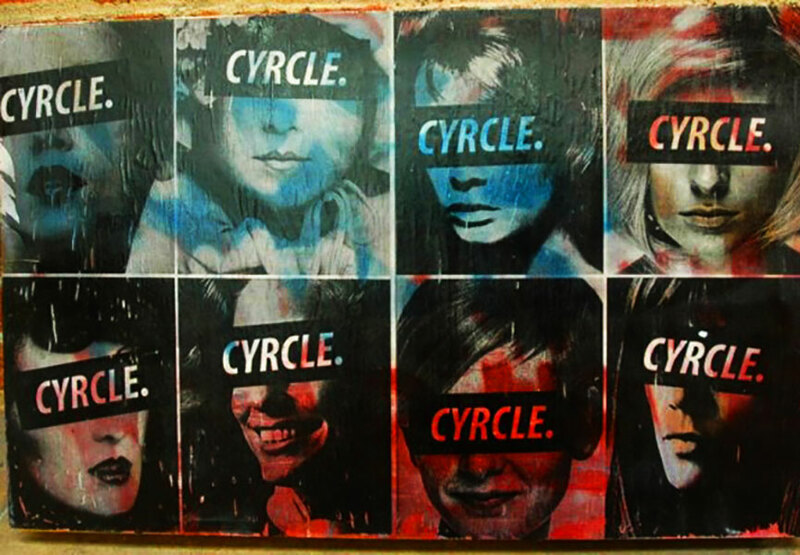 CYRCLE. were friends and fellow artists for years and then one day they realized their purpose was to form a unity and create something new and powerful collectively. 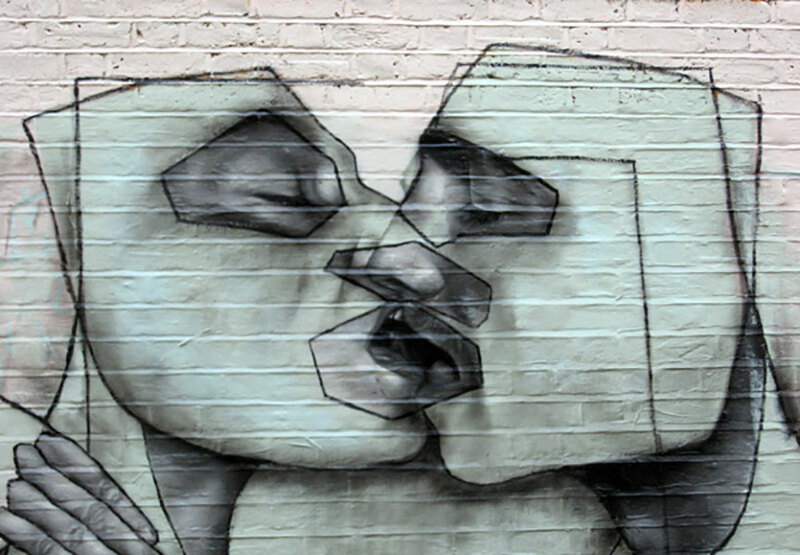 BEST EVER - "Disturbed Painterly Realism"
Neil and Hadley make up the artistic duo better known as Best Ever. 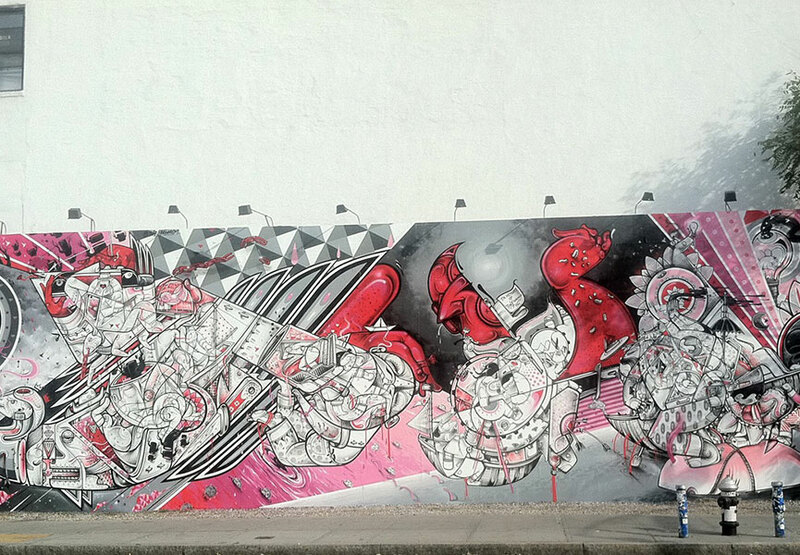 Both have graffiti backgrounds to flatter their skills in photorealism. Best Ever have been painting for about 15 years now. 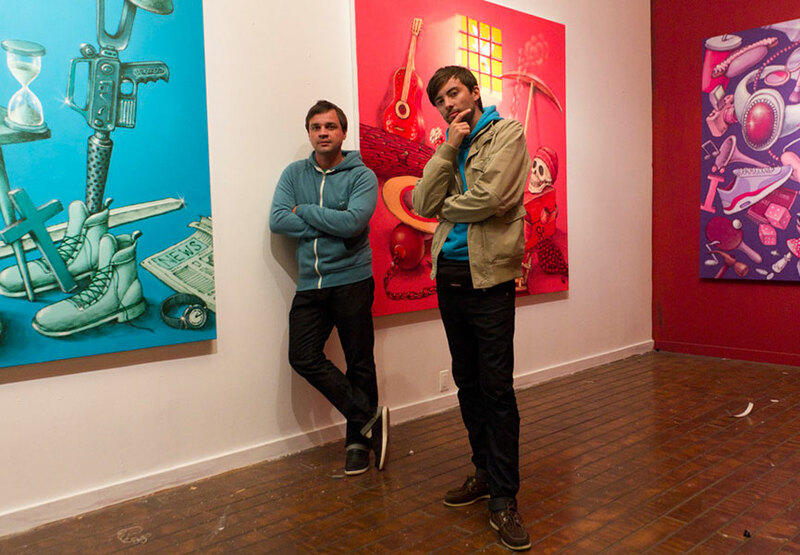 Neil started in the 54 crew, doing straight up, commercial photorealism pieces. Then he encountered Hadley in Bournemouth and Hadley said that they should try working together. It turned out that they actually had very similar ideas. When they work together, Hadley normally starts by throwing some paint at the wall and begins making lines and angles in a very loose style. From there on, they never know who is going to work on which part. 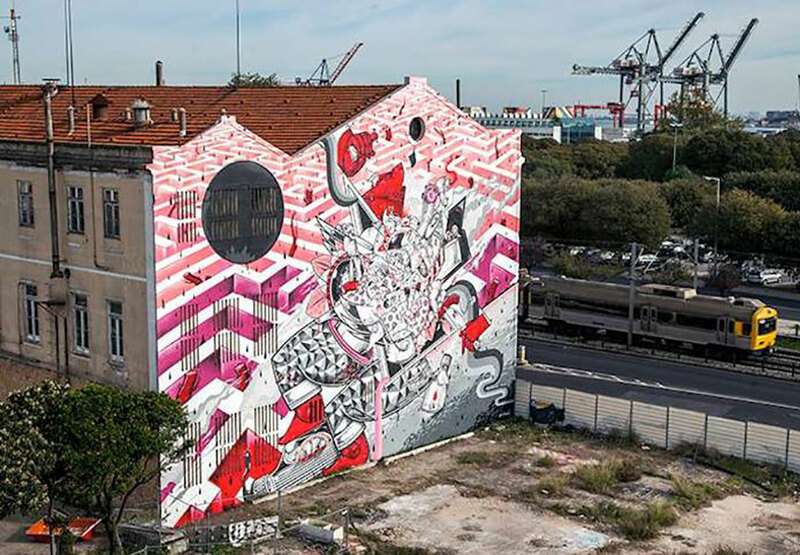 How and Nosm (Raoul and Davide Perre) are identical twin brothers known for their large scale graffiti based murals that adorn city walls around the world. The red, black, and white-based imagery is instantly recognizable and commands attention through the impressive size and the intricate detail. 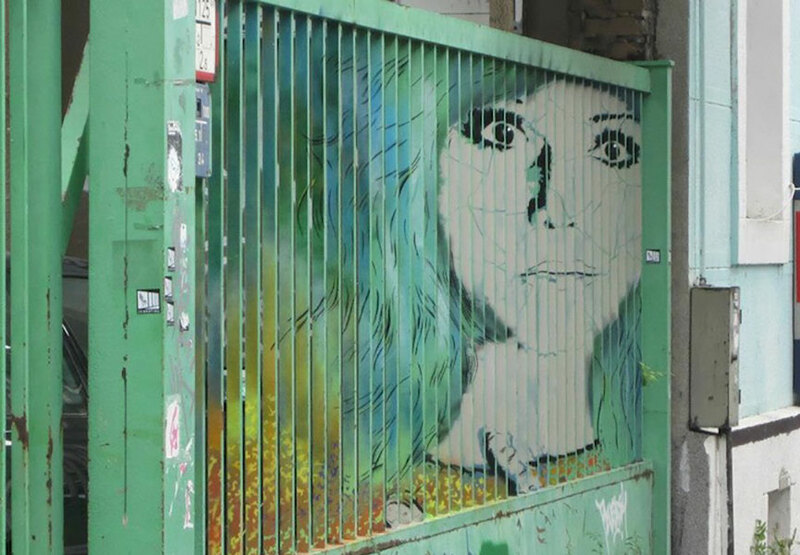 Initially, the color palette was limited for practicality, but gradually it has become a distinct calling card and a formal choice, which has allowed these artists to push spray paint to a new level. 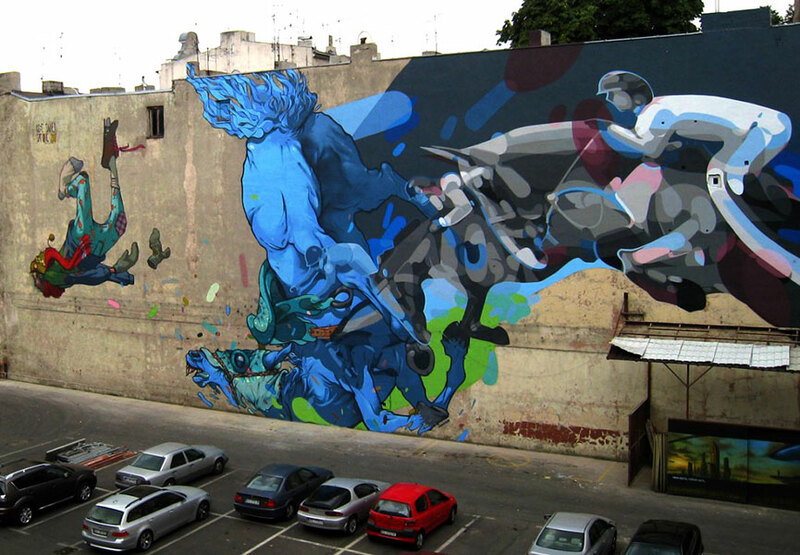 Polish graffiti duo Etam Cru (composed of artists Sainer and Bezt) create murals of epic proportions. 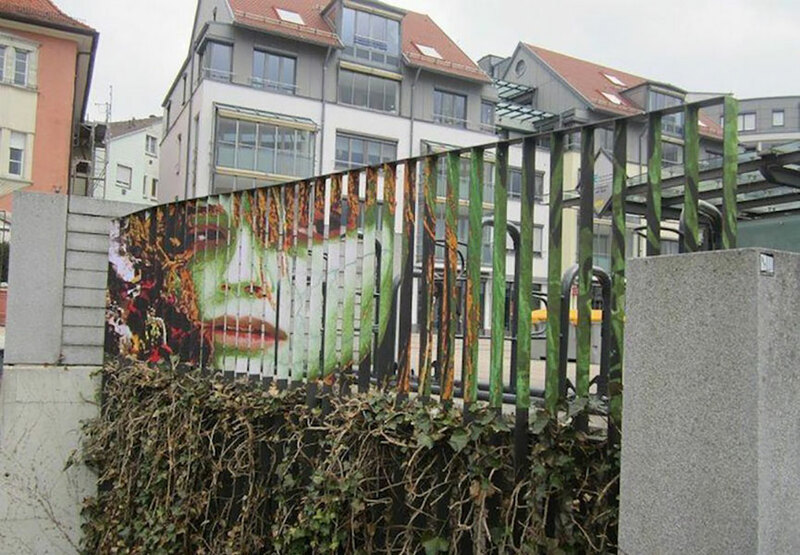 Spanning entire high-rise buildings, their works are heavily dosed with fantasy, even fairytale elements. Hints of Eastern European folklore (mushrooms and forest creatures make frequent appearances) make their way into the action-packed scenes reminiscent of graphic novels. 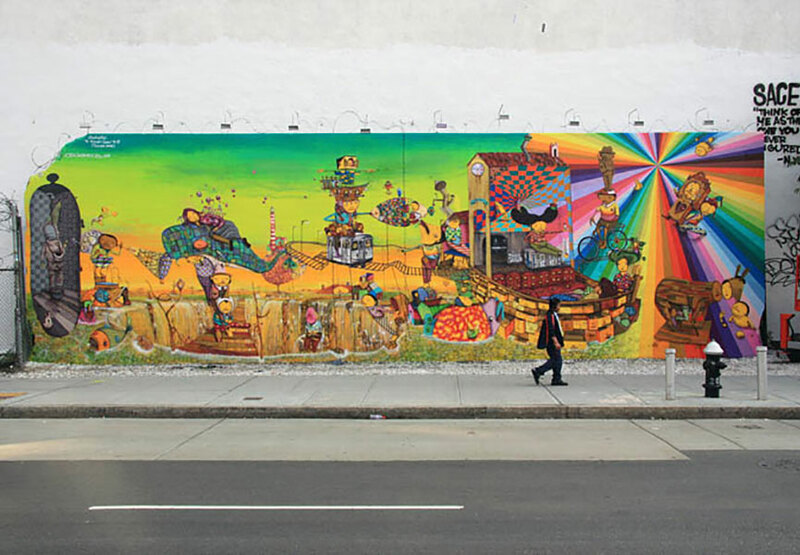 Every aspect of the color-saturated murals seems to be in motion: animals and houses alike come to life, human characters gain abilities that defy the laws of physics. 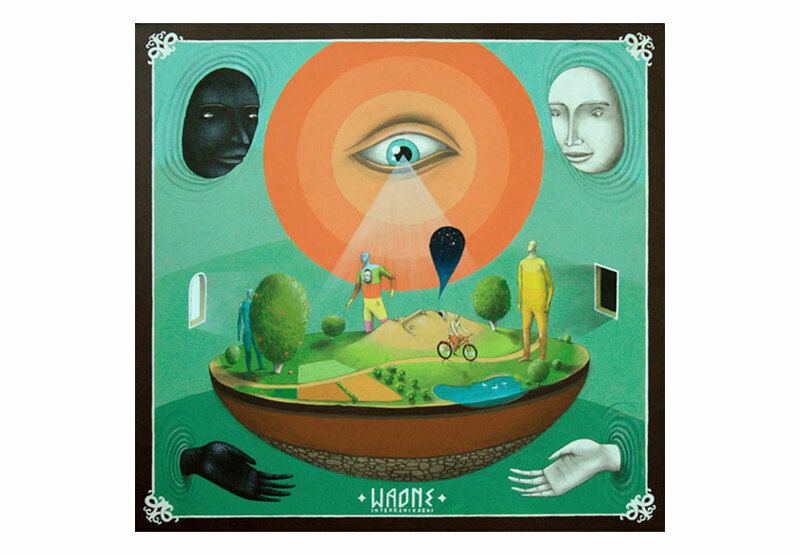 Interesni Kazki is a duo of Ukrainian artists AEC and Waone, who developed their collaborative street-based work from the more elementary forms of classical graffiti into a unique universe of symbolic, complex and dreamlike large-scale mural compositions, which they have been painting around the world. 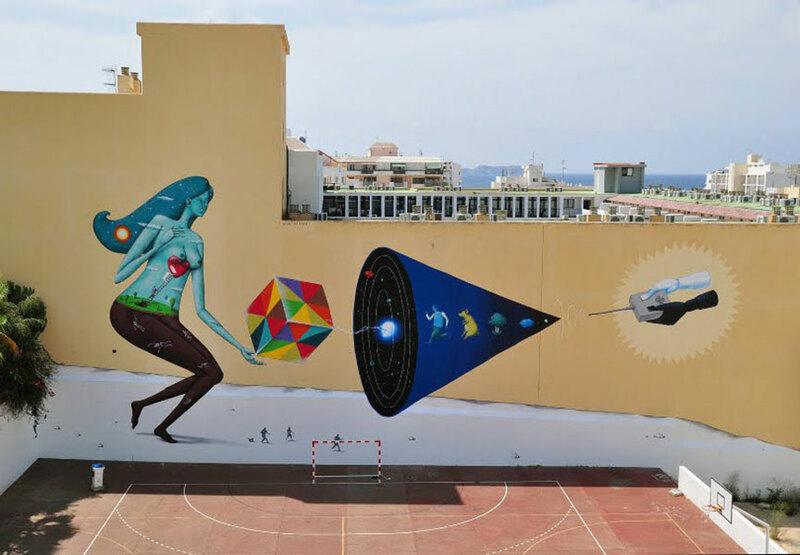 They’ve been taking the street art world by storm in the recent years with their colorful surrealistic large-scale murals. 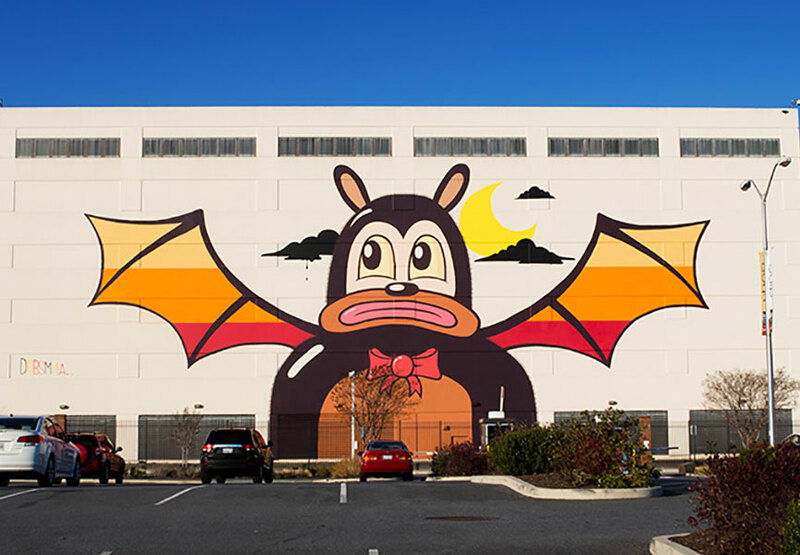 Famous for their unusual and imaginative imagery, the wide range of characters, elements and symbols used, bright colors and smooth gradients, their works are now grace walls from India to Mexico, and from Miami to Moscow. 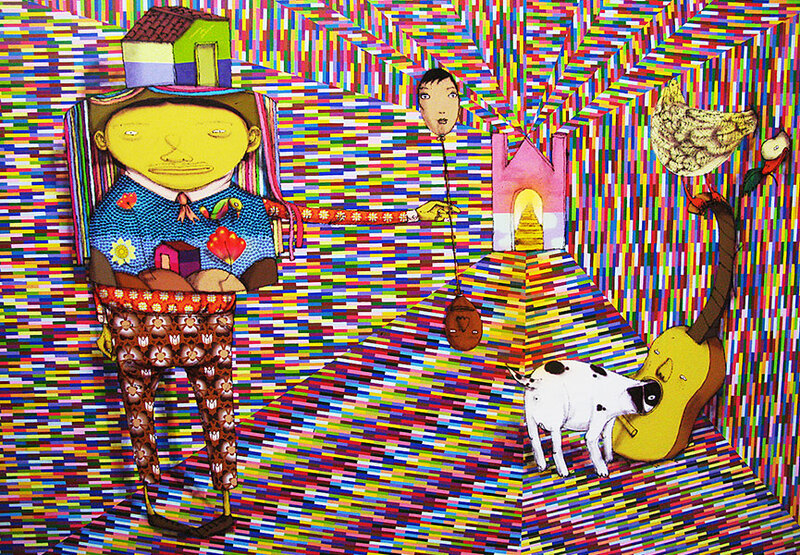 Os Gêmeos is a Brazilian street-art duo consisting of two identical twin brothers, Otávio and Gustavo Pandolfo, who are famous for their often surreal murals populated by whimsical, yellow-skinned figures.Since they took their name (pronounced “ose zhe’-mee-ose”) which means “the twins” in Portuguese, the pair has always worked together, drawing inspiration from their dreams, using street-friendly mediums ranging from latex to spray paints. 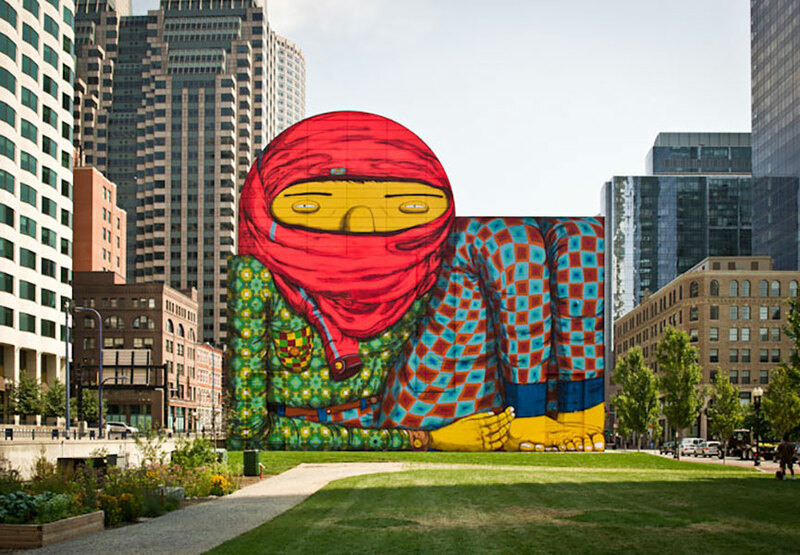 Os Gemeos began their careers by being involved in spray-painting graffiti scene in 1987. 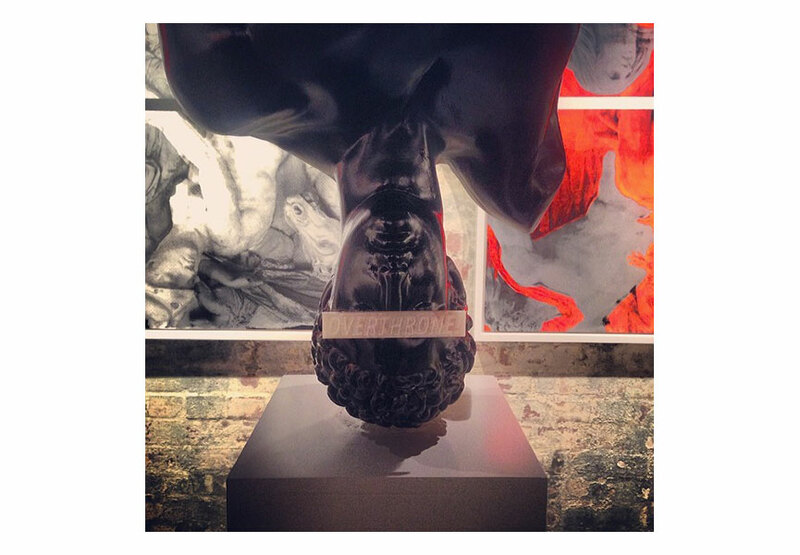 Slowly but surely, they began gaining large recognition in the underground urban scene. 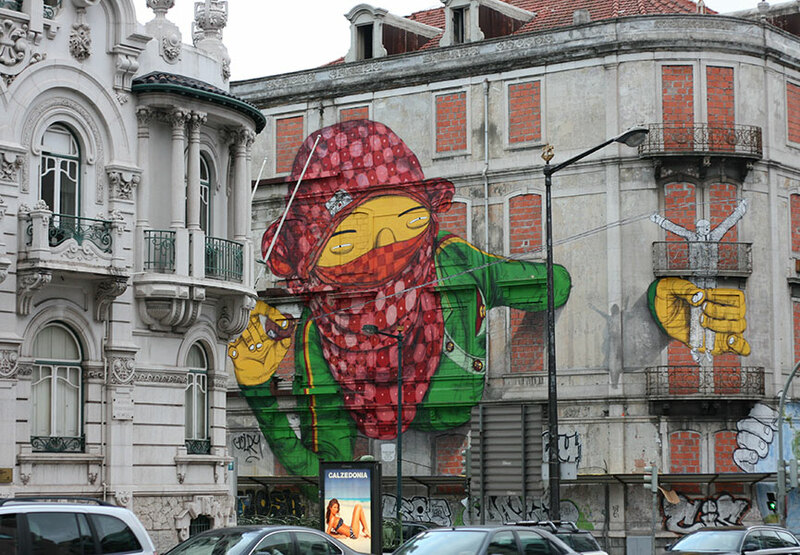 As their influence spread across the graffiti urban community they began to help define Brazil’s very own unique style. 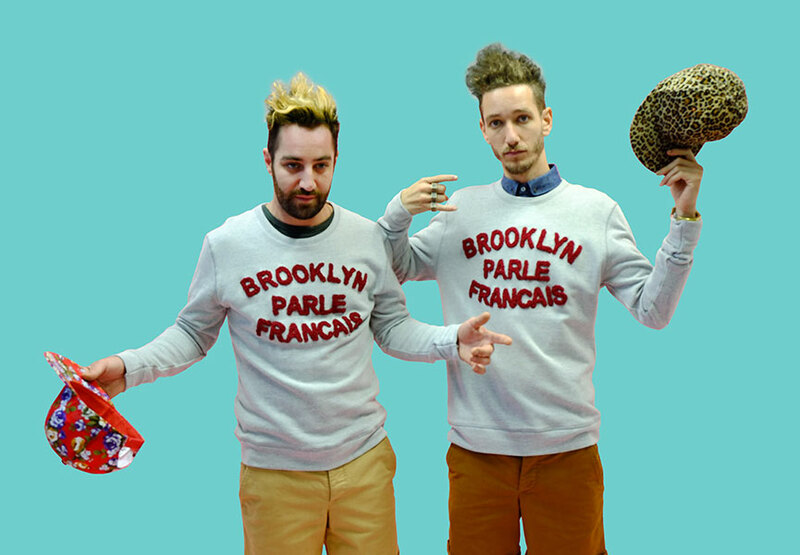 Their style evolved around traditional hip-hop style and the Brazilian culture. 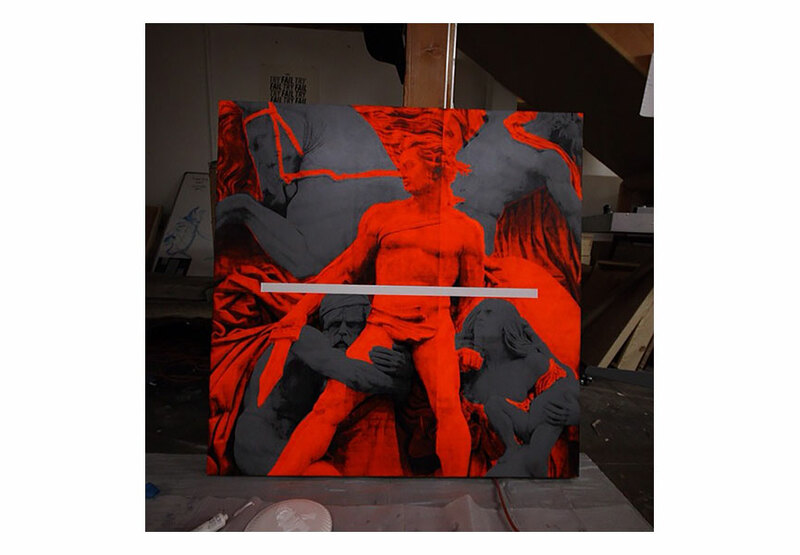 Sign up for My Widewalls!